Everything started with the arrival of Saint Bruno in the Chartreuse mountaines in Isère (France) creating the chartreux order in 1084. One day the maréchal d’Estrée brought to the monastery, a manuscript with a recipe based on 130 plants proven to be the « elixir » of long life. The monks take a few years to elaborate the first chartreuse liquor which emerges in 1764 and is green. Only in 1838 did they create and produce the yellow chartreuse which resulted in the large production and national infatuation for this marvellous concoction. In 1903 after a government coalition against all clergy, the french government banishes the chartreux order in France. The monks move to Spain from 1903 to 1989, specifically in Tarragonia where soon the most magical chartreuse of all times are born. Chartreuse is made with 130 plants. These are macerated in a grape alcohol and then distilled. The distillate is added to distilled honey and sugar. The liquor is then aged in oak casks from Russia and Hungary or more recently from Allier. The green and yellow colours of the liquors are due primarily to the cholorophyll and saffron as natural colourants. Passionate since a young age by this delicious beverage of golden yellow or green hope, I was given the nick name of « Docteur Chartreux at 21 years old. I have never ceased to wonder about and interest myself in this beverage which has become as rare as delicious. 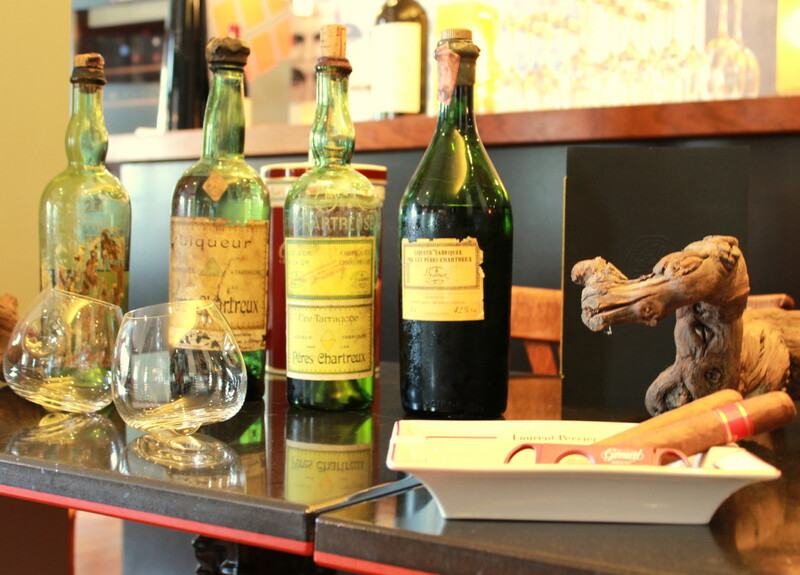 I will never stop sharing and getting others to discover this marvelous liquor which is la CHARTREUSE.